In addition to the great selection of kids books and graphic novels, the fresh-off-the-press comics and new and vintage toys (you should see our selection of G.I. 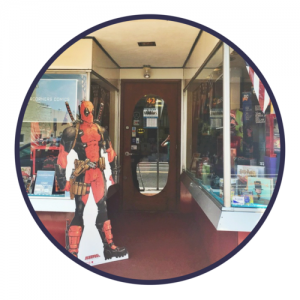 Joe), you’ll also find art supplies, comic and pop culture related art and gaming supplies – Magic, Heroclix, X-Wing, D&D, Warhammer and Dice Masters. 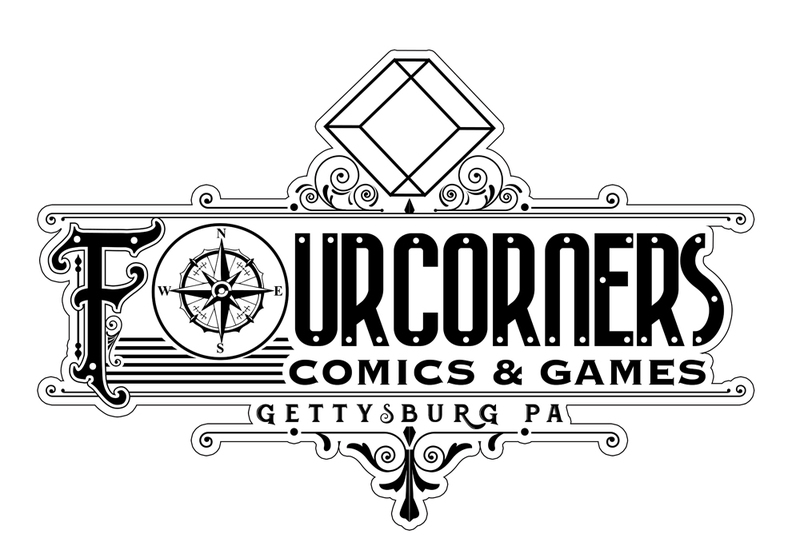 We invite you to play in a casual game or tournament in our Game Room, draw or write at our Artist Alley where you’ll see our rotating collection of work contributed by our customers, or drop in for one of our events. Art Sanchez is the Mastermind behind FOURCORNERS COMICS and a retired Navy veteran with a lifelong passion for comic books. As a kid, he dreamed of being a comic book artist. 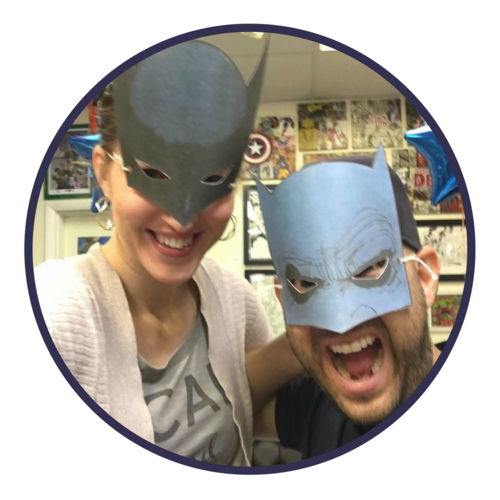 While he still draws (check out his work in our Artist Alley), that dream evolved into owning his own comic book store so that he could share his passion with others. In October 2015, FOURCORNERS opened with little more than his own personal collection. Holly Krichten is a comic newbie who never saw a comic book until adulthood when Art lured her in with a copy of Y: the Last Man. One frenzied reading binge later and she was convinced that comics were not just for kids. She is a former retail Merchandiser who enjoys making things look good and an aspiring novelist. Holly is also the Gettysburg link – she grew up here (go ahead – ask her for advice on your trip).